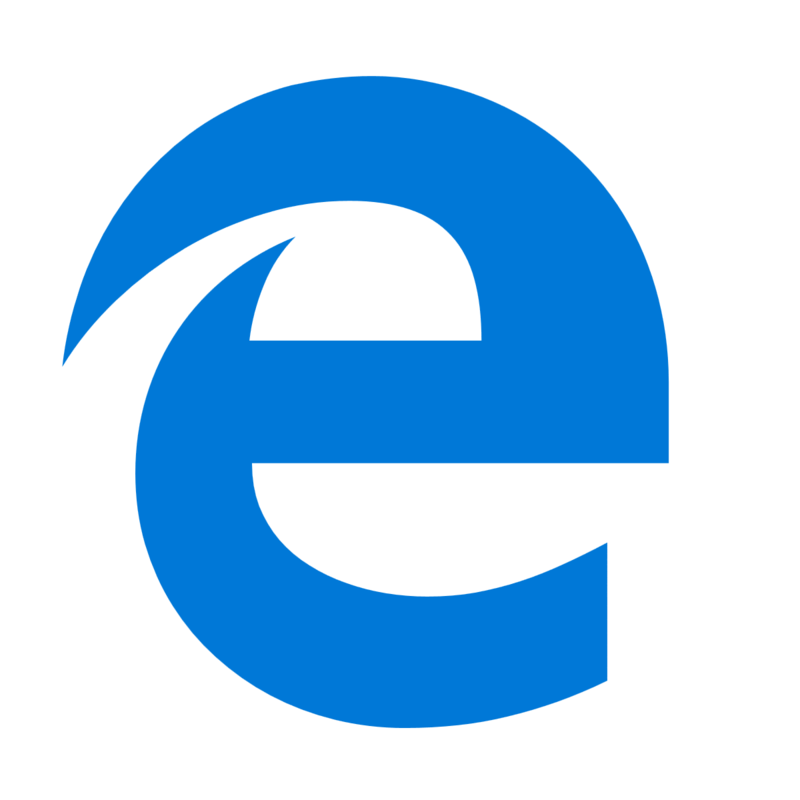 Microsoft announced in 2018 that Edge will become a Chromium browser during 2019. Consequently, Chromium Edge is based on the same engine as Google Chrome and Opera. In many respects, that is a good thing for the browser. 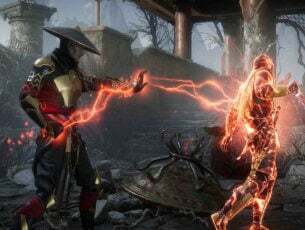 Now the big M has confirmed that the first official Dev and Canary preview builds of the browser are available via Microsoft Edge Insider Channels. Today we are shipping the first Dev and Canary channel builds of the next version of Microsoft Edge, based on the Chromium open-source project… We invite you to try out the preview today on your devices. We are starting by launching the first two Microsoft Edge Insider Channels, Canary, and Dev, which you can download and try at the Microsoft Edge Insider site. 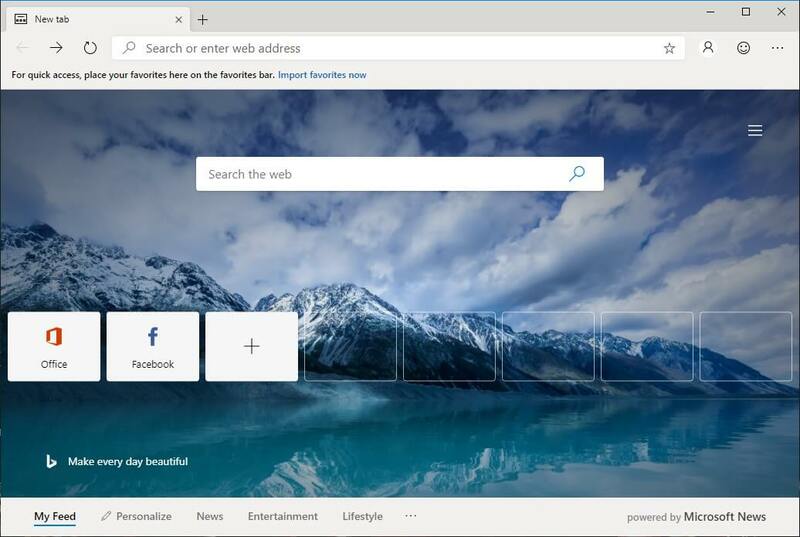 Thus, users can now try out the first official Chromium Edge previews for Windows 10 at least. However, there are currently no preview builds for Windows 8.1 or 7. Nevertheless, Microsoft will release some previews for other platforms later. 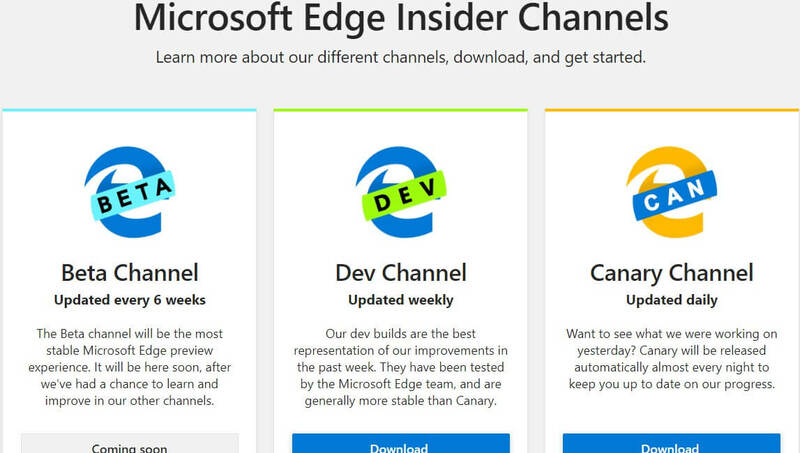 The Microsoft Edge Insider page consists of three download channels: Canary, Dev, and Beta. Canary is the channel Microsoft updates with greatest regularity. Keep in mind that Canary previews might also be a little buggy. Users who prefer to try preview builds that have been more thoroughly tested should download them from the Dev channel. Beta is the third channel Microsoft has not yet opened. That is a channel Microsoft will update about every six weeks. Beta provides the most stable Edge preview versions for users. Users can download the build previews from Microsoft Edge Insider Channels straight away. 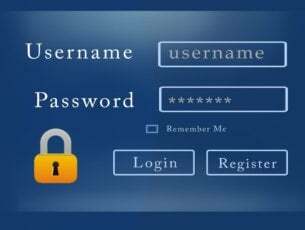 There is no need to sign up for anything with registration forms. Click the Download for Windows 10 button on the Microsoft Edge Insider Channels page. Then users will join the program when they launch the installer for Chromium Edge. The first official preview build for Chromium Edge does not look drastically different from the current EdgeHTML Edge. However, Chromium Edge’s New tab page does include a background image from Bing. The preview version’s URL bar is not entirely the same as it includes a new user profile button. Furthermore, the Dev version also includes the Add this page to favorites button within the URL box instead of on the toolbar. When exactly Microsoft will launch the final release version of Chromium Edge remains unclear. The software giant has not provided any firm launch date details for its rebranded flagship browser. However, with Chromium Edge now in alpha phase, users can already browse with the new Edge.